If you love the feeling of gentle strokes and relaxing oils, you should treat your little one to a baby massage. We all know the vast benefits a massage can have for our bodies as well as our minds, and it can help your baby to similar benefits such as aiding her digestion, improving circulation and easing tooth pain. It means a happier and healthier baby, and long nights filled with quiet rest for you. Use this easy guide to the best massage techniques as well as the perfect timing for your pamper session. Besides from being a relaxing and fun way for you and your partner to connect with your child, it has a lot of benefits for their mental well being. The time you spend on bonding with your baby is vital for her health and ensures that she develops the right way. It’s not just the actual massage that does this though, as the session often makes it natural for you to chat with her, keep eye contact and focus extra attention on her needs and wants. This is the kind of feel-good stuff baby loves; without it, she wouldn’t grow up to be a trusting and socially capable person. 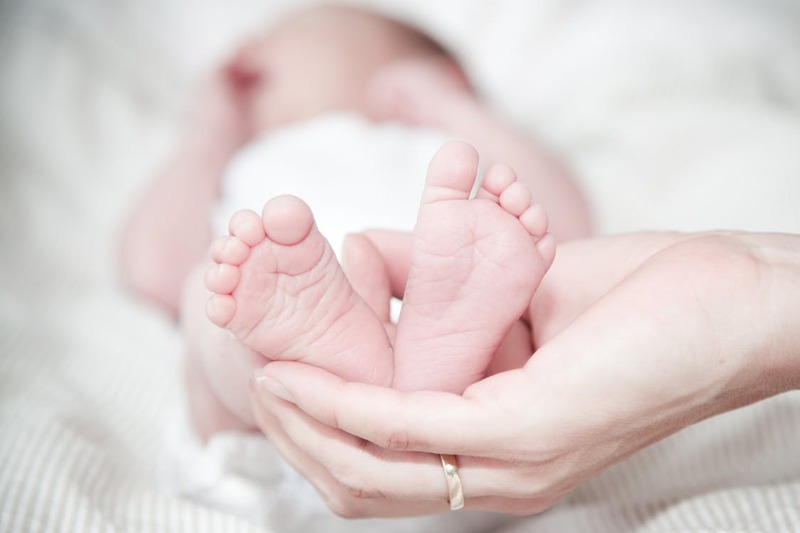 Other benefits of infant massage are a slower heart rate, improved bowel movements, stabilised brain activity, and a calmer response to stress and pain. This is particularly relevant for premature babies who are especially vulnerable at this stage. To ensure a sound and restful nap time, later on, take a look at this comforter baby will love to sleep in. When is the best time for a massage? Just like it is for you, babies relax easier when their stomachs are neither too full nor too empty. The best time, in other words, is in between feedings. You’ll notice when the best time is for you child easily by paying attention to her mood; an upset and restless baby won’t respond as well to the massage, so it’s better to wait until she is in a better mood and alert. Curious eye movements and an interest in her environment are good signs that she’s ready to interact and would like nothing more than a massage from you. It’s a good idea to follow a certain massage pattern so that your child knows what to expect. Warm a little bit of oil or cream between your palms and start gently to rub it into her skin. Start with her legs, and lightly squeeze her thighs and calves as you work your way your way up. Whatever you do, keep the motions slow, steady and gentle – you’ll quickly pick up on what she enjoys and when she’s had enough by paying attention to her. When you reach her chest and tummy, place both hands gently on the center of her body and spread your hands slightly to the side. Use your fingertips to stroke slowly outwards in light circle motions, while keeping your hands flat. Keep it up as long as she enjoys it; if baby starts to cry, she’s had enough for now. Baby massages are good stress-relief for mummies and daddies, too. Spend some quality time together, bond with your child, and feel how all three of you are becoming more relaxed and happier together.